This week we sat down with Laura Ostrowsky to talk Case Management, changes in healthcare and how she helps her team through the toughest times. 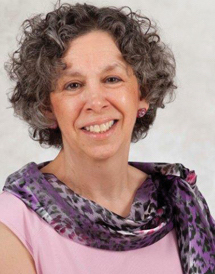 Laura is a CMSA board member, a thought leader and Director of Case Management at the Memorial Sloan Kettering Cancer Center. Join her next week at CMSA 2017 for her interactive Lunch & Learn on Navigating the Care Continuum. 1. As the Director of Case Management for Memorial Sloan Kettering Cancer Center, you’ve headed up an award-winning management program. What keeps your team moving forward? When I came here there were about 25 people in the department, we now have over 70. I’ve grown the department from what started as an inpatient only Case Management program in a DRG (Diagnosis Related Groups) exempt hospital into a comprehensive program where we work with inpatient and outpatient. We’re supporting patients as they journey through the healthcare continuum. We used to talk about Discharge Planning, but now I prefer the term “Transition Planning”, because Discharge Planning is a limited concept all about setting up services for people when they leave the hospital, but you don’t have to be admitted to the hospital to need services. That’s why we call it Transition Planning. There’s more outpatient care than there was before with more ambulatory surgeries or limited surgery and non-invasive procedures. Patients are not spending as much time in the hospital as they were in the past, and that can mean new challenges for case managers. 2. Case managers see more of these challenges every day. What keeps you going? One of the social workers at Memorial used to say, “It’s hard being the case manager because you have all the bad lines in the script”. One of the things I like to tell my staff when they feel beaten down is—especially because we’re in a Cancer hospital—people are upset; they’re angry; they’re mourning; they’re in grief. Even the patients who are getting better still have Cancer – they’re frightened. As a patient you’re very vulnerable, but your case manager doesn’t make you feel vulnerable. Only case managers have that connection with them. So, if you are angry or upset, your case manager is an easy person to take that anger out on. They don’t get angry at their doctors or nurses because they rely on them for the care. 3. Healthcare is always changing. How have these shifts shaped the roles of case managers? In the mid-eighties, they changed the reimbursement model from per diem payment to payment by case or DRGs. Basically, when care started to be paid for on a per case basis rather than a per day basis, there was a recognition that hospitals had to get patients in and out faster; that they couldn’t waste time and resources. That spurred the growth of ambulatory surgery and admit day surgery. People used to be admitted for surgery the day before, now patients are admitted the day of the surgery. This resulted in decreased lengths of stay. We began to see a shift to ambulatory and minimally invasive procedures. That was the birth of Case Management. 4. Who should attend your Lunch & Learn next week and what’s the focus? My presentation is focused on acute care case managers or hospital case managers, but a lot of what we’ll discuss will apply to case managers in other settings also. I’m going to be talking about the conflicting roles of the case manager and the importance of self-care to anchor yourself through them. The goal is to get people talking about how we navigate different aspects of these roles and to get them sharing their best practices. 5. You’re going to be talking about the different roles of case managers, can you give us a few examples? Working with patients as a case manager you’re advocating for patients; you’re teaching them; you’re trying to empower them to take responsibility and control of their lives and their health. And you’re trying to get people to the most appropriate level of care. You’re also helping to sustain healthcare because part of Case Management is Utilization Management. Like clean air, potable water and renewable energy sources, there are limitations, these things aren’t never-ending. You need to use them appropriately and manage them appropriately in order for them to last. It’s the same with healthcare dollars and beds in hospitals. Hospital beds are a scarce resource and money for care is limited. So, if you don’t need to be in a hospital bed, we help you to move safely to the most appropriate setting or level of care, whether that is home with services like home care or rehab or to an inpatient sub-acute setting. We’re tasked with getting people to that next level of care without delay, freeing up acute care resources for the next patient. 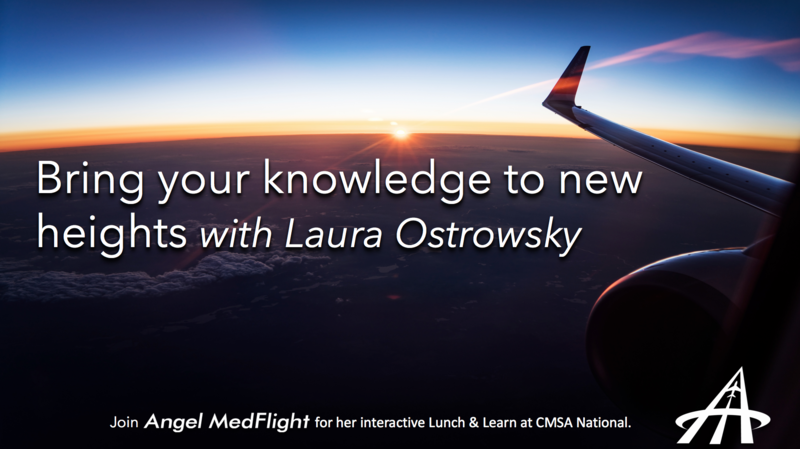 Angel MedFlight World Wide Air Ambulance is proud to present Laura Ostrowsky’s interactive Lunch & Learn on Continuing the Care Continuum next week in Austin. Join us from 11:30 a.m. – 1:00 p.m next Tuesday, June 27th.